Namkeen packing pouch should be very attractive and material used to manufacture it should provide strong air tight strength. 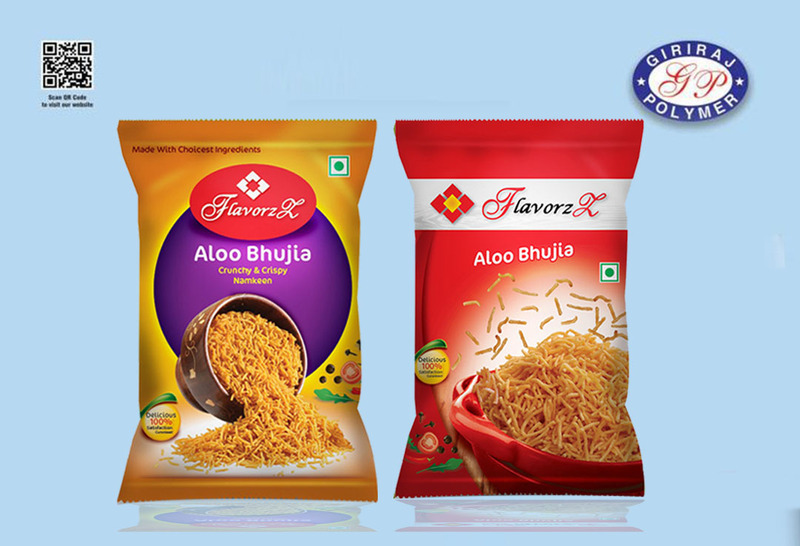 Giriraj polymer is having vast industry experience asNamkeen pouch manufacturer which provides all such qualities which maintain the taste and flavor of namkeen even if it is kept for a very long duration. We also cater to the need of Namkeen pouch printing in different design and color so the client is able to select according to their specific requirement. Our skilled and professional team with use of updated machinery and technology have enabled us to manufacture and supply namkeen packing pouch in all sizes and color. There is a high demand of namkeen and snacks in the market and to beat the tough competition it is necessary to have good quality, highly protected and appealing design. Our expert team takes care of quality by testing the product properly before delivery and ensures the protection of namkeen and snacks for prolonged storage. We as a Namkeen pouch manufacturer help our clients to establish a new brand in market and also provides new, unique and different appealing look to the existing brand. Our Namkeen pouch supplier unit takes care of on time delivery which safely reaches the consumer end.